For the most part, people who own a Mercedes-Benz enjoy their cars for a long time. These cars are synonymous with luxury, refinement and power. But, despite their long-standing tradition of reliability and dependability, you could be in for a costly exercise in the event of an unfortunate mechanical breakdown. Proper care and maintenance of these cars can keep them running for years. With the most common cause of premature transmission failure being neglect and lack of knowledge, we would like to share some tips on how to extend the lifespan of your Mercedes-Benz Gearbox. All the major functions of a transmission are dependent on transmission oil. Over time transmission oil breaks down due to contamination, heat, wear and tear. Replacing the gearbox oil and filter at the required intervals will go a long way in prolonging the life of your transmission. When changing the transmission oil, it is imperative to use the correct oil as specified by the Mercedes-Benz dealership. Using the incorrect oil is highly detrimental. Transmission oil leaks should be attended to immediately as low oil levels can cause major transmission failure. Don’t switch between forward gears and reverse while the vehicle is still in motion. This could cause excessive strain on the internal components within the transmission. The majority of transmission problems are caused by overheating. When towing avoid overloading and if you’re towing on regular basis it is advisable to fit an additional oil cooler to prevent overheating. Modern cars are heavily reliant on computers and software. Unfamiliar warning lights on the dashboard should never be ignored as these could indicate faults within the vehicle’s electronic system which could affect the performance of the transmission. Faulty transmission control units can cause your Mercedes-Benz transmission to go into limp mode, disabling the transmission’s ability to shift gears and cause it to default to a single usable gear, usually 2nd or 3rd. Should you experience any of these symptoms, it is important to carry out diagnostics before having any repairs done in order to eliminate any unnecessary costs. Don’t drive on a spare tyre for longer than absolutely necessary. Spare tyres are just that, spares. Driving with tyres of different degrees of wear or size can definitely affect transmission behaviour. Noisy transmissions could be caused by worn out working parts in the transmission. These should never be ignored. 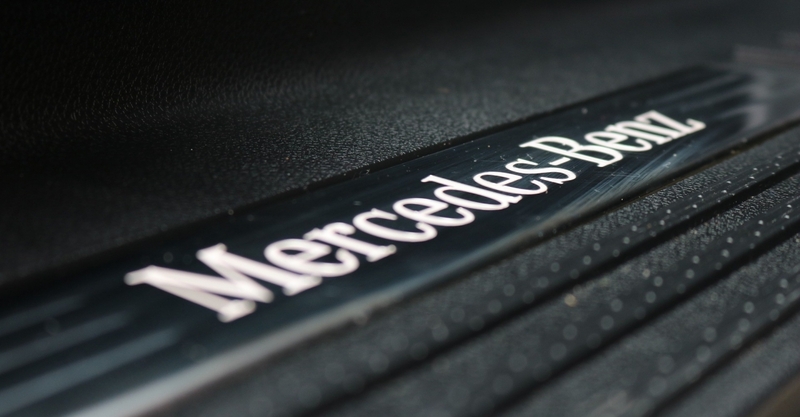 Enduro Gearbox Centre has been in the business of providing a complete gearbox service for any Mercedes-Benz transmission for well over 20 years. Our services extend to both mechanical and electronic issues. In the event of a problem please feel free to contact us.